My to do list is filled with tasks, there’s dishes in the sink, and the kids were craving some mommy time on that Saturday morning. I felt slightly torn between doing “productive” things on my list or taking them somewhere special to play. I decided the things on my list could wait, a decision that isn’t always easy but always feels right. I made a superfood shake and drank some coffee and the kids and I were out the door to find adventures together. We laughed, we played, we had quality time together. It was worth the pile of dishes I came home to (so not like me to leave the house without cleaning first). It was meaningful and the kids loved it. 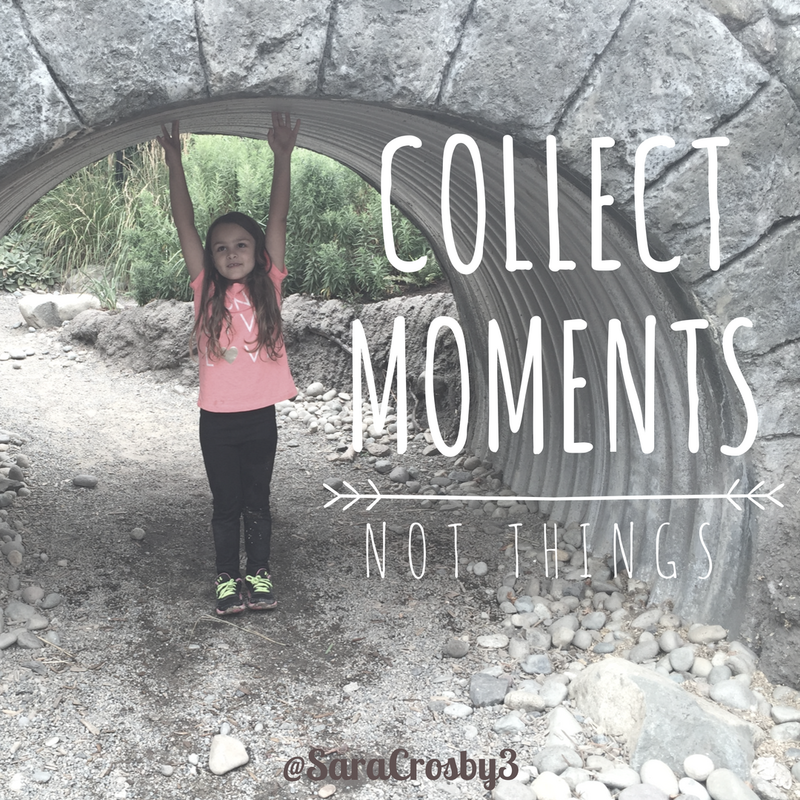 We collected our moments that day by going to the Hands On Children’s museum. Where do you love to take your kids for special play dates?